On July 4, at approximately 12:30PM, the Lebanon Police Department received a call from Price Chopper on Plainfield Road regarding two men who had placed a number of items in a shopping cart and then walked out of the store without paying. A loss prevention officer attempted to stop the men outside the store after identifying himself, but the men abandoned the cart and fled on foot. The two subjects then entered a vehicle and fled the area. Loss prevention was able to provide a description of the men and the car they were driving. Officers were able to locate the vehicle on Plainfield Road along with the two men involved. Both were subsequently taken into custody. The value of the items that were taken from the store and recovered totaled $1,949.81. 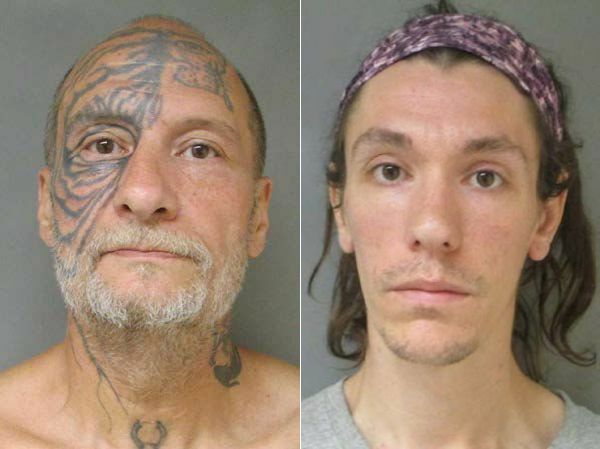 Philip Canale, age 50, and Anthony Hutchinson, age 29, both of Mack Avenue in Lebanon, were arrested and charged with Class A Felony Theft. Canale was held on $12,500 cash bail and Hutchinson on $7,500 cash bail. Both were due to be arraigned in the Grafton County Superior Court on July 5, 2017.